When some people think of adaptive swimming after a spinal cord injury, they imagine what is known as hydrotherapy. Hydrotherapy is more like doing physiotherapy in the water. It is not a competitive sport. 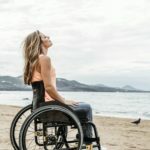 Hydrotherapy has many benefits, but people with a spinal cord injury can often go beyond hydrotherapy into the world of competitive swimming. Swimming is even a Paralympic sport! By practicing at that level, swimming offers some significant gains in muscle strength and stamina. But like with any new exercise, talk to your doctor before you start, to make sure it’s appropriate for you. 1 1-. What Is Required For Adaptive Swimming? 2 2-. Who can participate in adaptive swimming? 3 3-. How do I get started? 4 4-. How often do I need to practice? 5 5-. Do I have to compete on a Paralympic level? 1-. 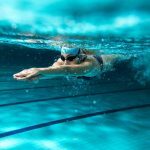 What Is Required For Adaptive Swimming? One of the best parts about adaptive swimming is that there are no special devices needed. The only thing necessary is your body. Adaptive swimming is a Paralympic sport and has been part of the program since their inception. It has always been one of the most popular Paralympic sports. This is mostly because it was already a popular adaptive sport before the Paralympics started. Needing no special equipment, swimming was one of the first and easiest sports for wheelchair users to begin to participate in. 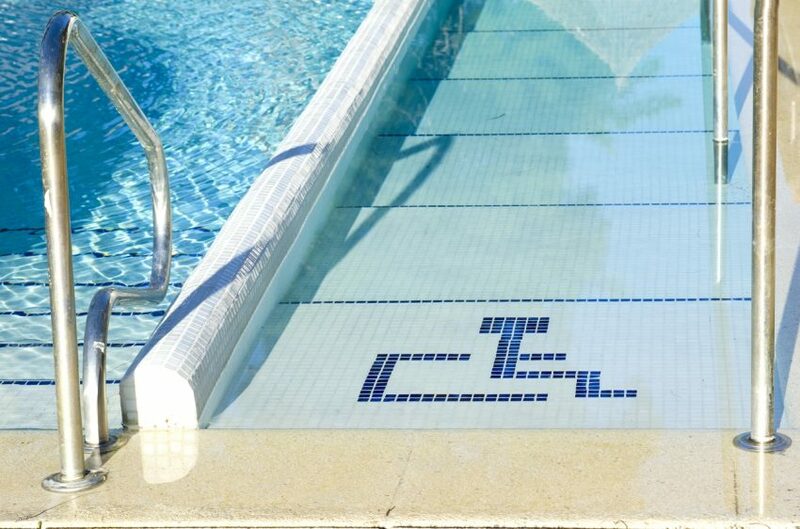 2-. Who can participate in adaptive swimming? Paralympic swimming is an event open to almost all abilities. Some of the participants include people with physical disabilities like visual impairment, cerebral palsy, spinal cord injury, dwarfism or amputation. People with cognitive impairments can also participate. This inclusiveness makes swimming one of the most accessible Paralympic sports. 3-. How do I get started? While you could just go to your local pool and start swimming on your own, a good way to train for swimming competitively is to join a swimming club. 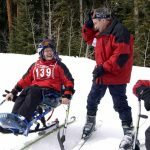 You may be able to find a club that offers trainers that are experienced in adaptive sports. Once you build up the speed and stamina to compete in the 15-meter race, you are eligible to attend an Emerging Swimmer meet. This is where you show your skills to the Paralympic Committee. The committee then classifies you into a swimming range. 4-. How often do I need to practice? The more practice, the better. If you are interested in taking your adaptive swimming beyond hydrotherapy and working toward the Paralympics, you must want to practice as much as possible. The people who become really good at the sport are those who love it. Make a regular practice schedule for yourself that includes time with a club or team as well as practice time by yourself. But make sure that your workouts are enjoyable, or you may start to see it as a chore. 5-. Do I have to compete on a Paralympic level? 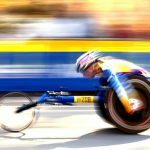 You do not have to compete on a Paralympic level. If you are a good enough swimmer but don’t want to aim for international competition, you can get involved in local swim meets that don’t require classification. Now that we’ve answered these questions, you may be ready to get involved in adaptive swimming. To get more information on Paralympic swimming and to contact someone who may be able to help you find a swimming club near you, check out the webpage for World Para Swimming. It also includes video interviews with the athletes as well as a listing of the world records for each event. If you are serious about becoming a competitive swimmer, it’s good to know what you are up against! 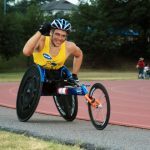 For help with country-specific adaptive sports information, you can go to the page for the National Paralympics Committee, Europe. Click on your country to be taken to a page with contact numbers, news, and videos. And if you have some time to check out any videos, YouTube has plenty of footage of Paralympic swimming events. The Summer Paralympics were just held in Rio in 2016.